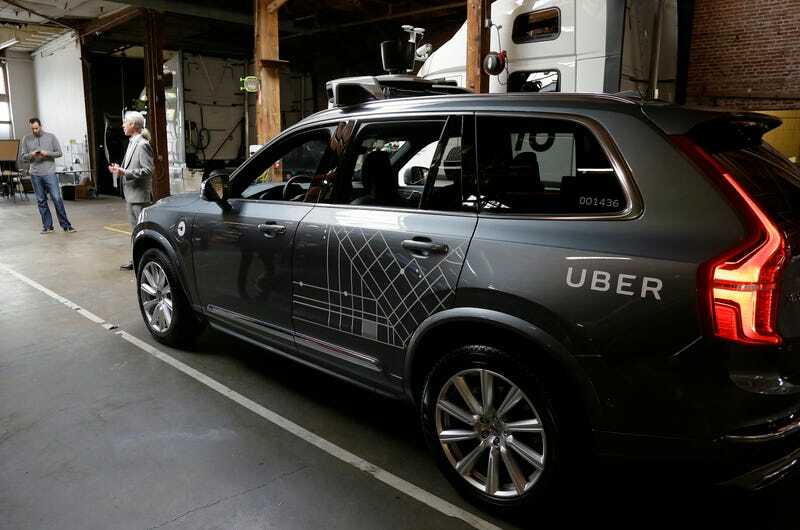 Remember Uber’s little dust-up in San Francisco over its self-driving car pilot program? (Jeez, that was—what—way back in 2016?) Well, the ride-hailing giant’s autonomous vehicles are back in the city, but they’re only being manually driven, according to reports. Boring. USA Today reports the company still doesn’t have permission from California’s Department of Motor Vehicles to use the autonomous functions—that would cost a steep $150—but a handful of Ford Fusion hybrids with the self-driving gadgetry have been redeployed to San Francisco. The company last month shipped the fleet of autonomous vehicles to Arizona, whose governor is giddy about the tech giant’s efforts, after California regulators shut down the pilot project over Uber’s refusal to pay the permit. An Uber spokesperson told USA Today that the Fusions are being use for the company’s efforts to gather road mapping data. “They are being driven manually at all times and their self-driving systems are disabled,” the spokesperson said. Hopefully those drivers are paying attention at stop lights.